IF YOU'RE COMING THROUGH CAMPBELLTON, take Exit 391 on Highway 11 (just before theoverpass) to Route 275 West for Eel River Crossing. At the end of the Exit ramp turn right Continue on Route 275 straight through Eel River Crossing to the 4 way stop and flashing light at the Esso Gas Station in Balmoral. Continue straight across the intersection, past the A.L.P.A. Equipment Ltd. garage to the end of the paved road. Continue on the dirt logging road past the 4 Km marker. 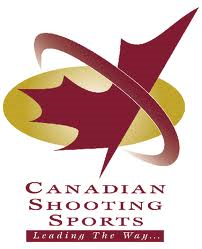 The Restigouche Shooting Range is on the right side. TO REACH OUR RANGE FROM BATHURST, take Exit 391 on Highway 11 (just before the overpass) and turn left to Route 275 West for Eel River Crossing. Continue on Route 275 straight through Eel River Crossing to the 4 way stop and flashing light at the Esso Gas Station in Balmoral. Continue straight across the intersection, past the A.L.P.A. Equipment Ltd. garage to the end of the paved road. Continue on the dirt logging road past the 4 Km marker. 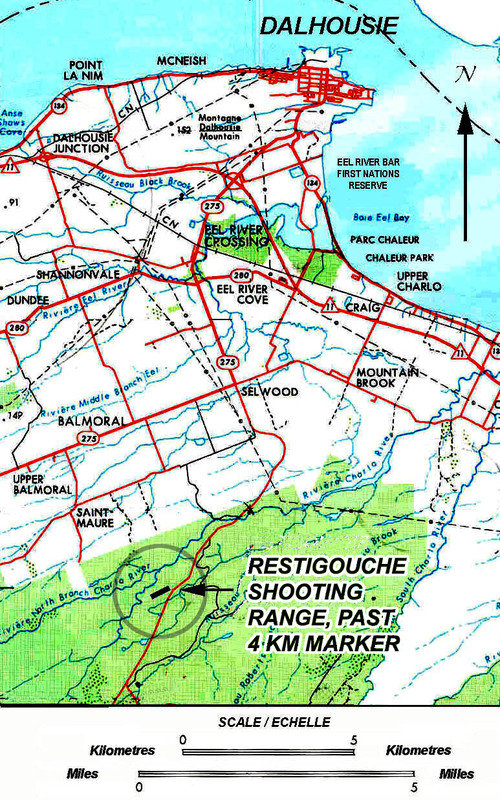 The Restigouche Shooting Range is on the right side.